We're delighted to be running a workshop at the inaugural Social Media for Learning in Higher Education Conference on Friday 18th December at Sheffield Hallam University. 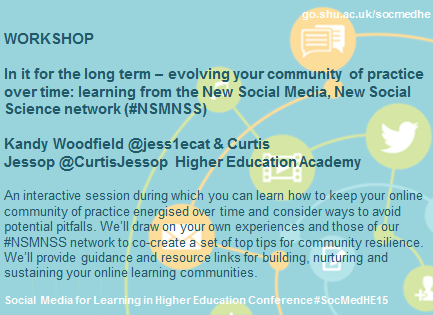 Building on all the great work our NSMNSS community has done over the last four years we'll be working in the room and with you virtually to develop some top tips for sustaining and growing your online communities. We'll start by sharing our slide deck with you, but keep refreshing the page from 13.40pm onwards as we'll be adding content and thoughts from the workshop participants as the workshop progresses. We'll also be tweeting some questions for you to respond to so you can actively join in the discussion. 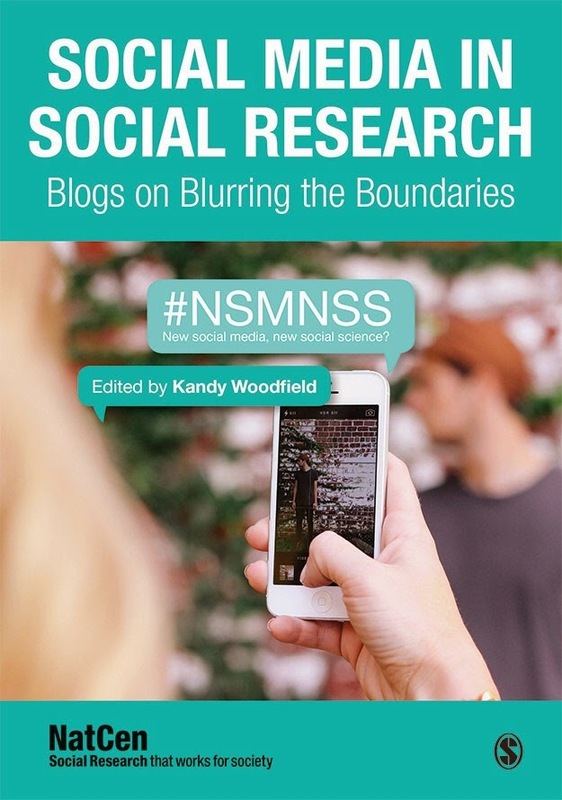 Make sure you keep an eye on the @NSMNSS twitter feed on the blog for these. Q1. What communities and networks do you belong to? And how would you like to strengthen or grow them? Hello and we're off with people drawing their own personal online learning communities and discussing the networks they belong to... comparing maps people are seeing some similarities and some differences, and asking is there a hierarchy of engagement? Some of our delegates lurk in some of their online communities and are highly active in others. We're discussing what makes a difference to online engagement. Q2. What engages and disengages you in online communities? Q3. 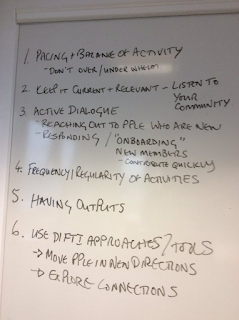 What activities keep you engaged in your online community? Q4. How do you encourage members to deepen and widen their connections? Over time it's important to support community members to widen and deepen their personal connections otherwise the community will stagnate. How do you do this? Curtis introduced Wasim to the group. Wasim has been managing our Twitter account for over a year and has done a great job of building a sense of community and putting people in touch with each other. Wasim talked about how important conversation and signposting was to this task: letting members know who else is interested in the same topics or has relevant expertise. He talked about how the #NSMNSS community has connected with other communities with shared interests (for instance running a Twitter chat with #PhDchat) to open up new connections for members. We also work with a range of supporting affiliate organisations who come from different sectors in the research community to ensure members hear different perspectives and can forge new connections. We all noted that this type of connective work in communities takes time and persistence, although over time a successful community will start to do some of this work for itself, certainly the #NSMNSS hashtag helps our members to connect directly with each other, they don't need to wait for the community facilitators to make connections or to share information and content. Q5. How do you sustain the learning outputs of the community? Think outside of the box, we crowd-sourced a book of blogs and then published it. It provided members with a platform to share their work on social media in social research and took that learning beyond the community to the wider world. Invite guests to share their insights with the community, Storify or record the session and then share that resource. Q6. 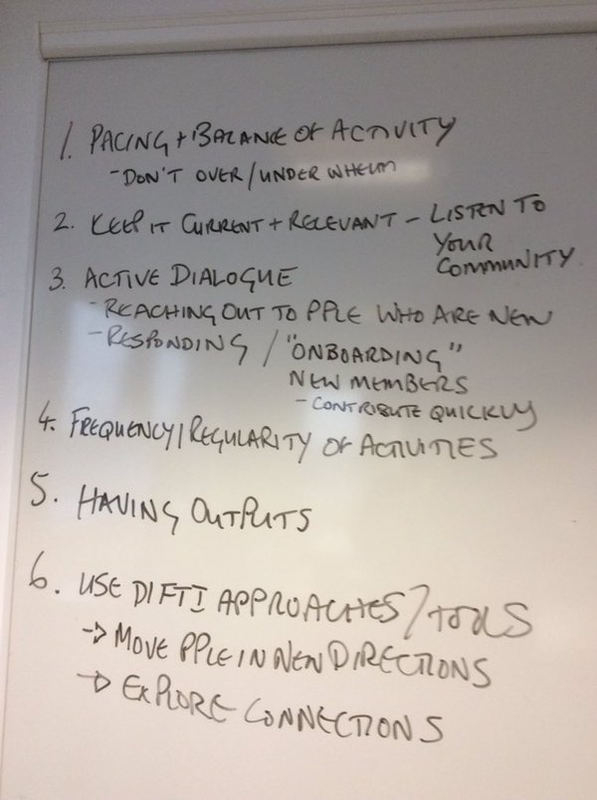 How do you avoid your community of practice becoming an echo chamber? We're moving on to talking about the challenges of networks becoming echo chambers with everyone agreeing or sharing very similar viewpoints. If you surround yourself with people that express similar opinions to those that you express, you end up reinforcing and ‘normalising’ those views. In a CoP this can look like the community beginning to repeat itself – covering the same ground or members consistently agreeing or expressing the same opinions. Curtis is talking about what happens when the community hears nothing new or doesn't contain a diversity of voices. He described how this can feel cliquey, deter new members and stifle debate. Social media algorithms are often designed to show you things you’ll like! This effect can, to an extent, be positive as it will help to promote community cohesion. However, it can also lead to a heightened risk of ignoring alternative views, reinforcing your own, and skewing your perspective. This is probably not great in general says Curtis but can be especially problematic for a CoP – it is difficult to learn, improve and develop if it is the same views being consistently expressed. Further, it means that you can’t assume that views being expressed as best practice are those of the wider population. Even if not to these extremes, these points can limit the effectiveness & appeal of CoPs as learning networks. As facilitators of online communities we need to encourage new voices and alternative perspectives. These are all related, and to a certain extent mutually supporting, but they are also quite active – if a community tends towards a ‘norm’, then that needs to be disrupted, it won’t necessarily occur naturally. Fortunately, these themes play to strengths of online – where barriers to entry are low (given web access), it can be relatively easy to access other networks, and the ‘openness’ and relative anonymity of online platform can encourage participation. Phew, that was a quick fire hour, thanks to everyone who contributed. Wenger, Etienne. 1998. Communities of Practice: Learning, Meaning and Identity. Cambridge: Cambridge University Press. Your site has good information which i really wanted to read about books. The reviews and proposals are also make me good, thanks for this great resource. Nice Information you have written here. Really Great Stuff. I keep it bookmark for our future purpose. Thank you so much... your blog is giving very useful knowledge for all.i didn’t have the knowledge in this now i get an idea about this..
تور کیش برای افراد بالا ی ۵ سال ،کامل محسوب می شود یعنی شامل پرواز و هتل میشود. برای افراد بین ۲ تا ۵ سال فقط هزینه پرواز محسوب می گردد. برای افراد زیر ۲ سال هزینه بین ۸۰/۰۰۰ تا ۱۰۰/۰۰۰ تومان به عنوان بیمه پرواز محاسبه میشود. ورود به کشور ارمنستان شامل ویزا نمی شود.برای رزرو تور زمینی ارمنستان ارائه گذرنامه با اعتبار حداقل 7 ماه الزامی می باشد.